Algerian prosecutors on Monday announced fresh graft probes and a ban on corruption suspects leaving the country, as a government shake-up failed to halt calls for President Abdelaziz Bouteflika to quit. The ailing leader, who has rarely been seen in public since a 2013 stroke, is clinging to power in the face of mammoth demonstrations sparked by attempts to prolong his 20-year rule. The authorities did not say who was being targeted by the new investigations into corruption and illegal money transfers abroad, but they followed the arrest of the president's key backer, businessman Ali Haddad. Haddad, who Forbes magazine describes as one of Algeria's wealthiest entrepreneurs, was detained overnight Saturday to Sunday at a border post with neighbouring Tunisia, a security source said, without giving reasons for the arrest. On Sunday, as rumours swirled of frantic behind-the-scenes manoeuvring, the Algerian authorities also banned all private aircraft from taking off and landing until the end of the month. The North African state has been rocked by huge protests since Bouteflika, 82, announced in February that he was seeking a fifth term in office. The veteran leader, whose current mandate was meant to end on April 28, said last month he was pulling out of the race but postponed scheduled elections. 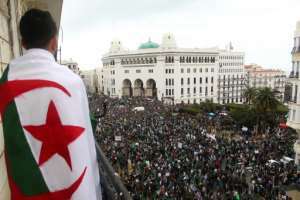 The move has done little to assuage public ire and hundreds of thousands of people took to the streets of Algiers on Friday demanding the president and his entourage go. Armed forces chief of staff Ahmed Gaid Salah last week called for him to step down or be declared medically unfit. On Sunday, Bouteflika unveiled a new government made up mainly of technocrats under recently appointed premier Noureddine Bedoui. The administration -- which is supposed to steward the country towards a transition -- includes Gaid Salah remaining in his position as deputy defence minister. 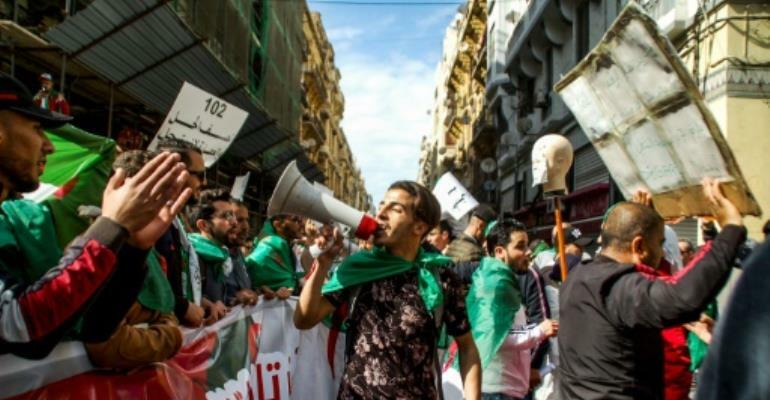 The government unveiling failed to curb calls for Bouteflika to leave, as hundreds of people in Algiers demonstrated overnight against the announcement. Media outlets were awash with speculation that the appointments could help pave the way for Bouteflika's imminent resignation. The news website TSA described the new administration as a "result of compromise between the army command and the presidency". The El Moudjahid daily, traditionally viewed as close to power, ran a headline reading "The Beginning of the End?" and said the army's proposal for Bouteflika to go "is the only one that offers a clear and convincing way out". The idea of Bouteflika's inner circle retaining their grip on power through a substitute leader has drawn short shrift from protesters dealing with high unemployment and economic hardships. Young people have made up a key part of the demonstrations in a country where half the population is under 30.